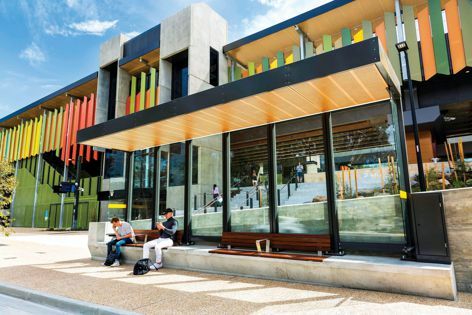 A range of Stoddart Infrastructure solutions was incorporated into the recent Rosanna Station upgrade in Melbourne’s north-east. A heavily modified Evo Premium shelter with black powdercoated aluminium framing is accompanied by seats and bins from Stoddart’s Station suite. The Rosanna Station upgrade in 2018 is one of the most impressive level crossing removal projects to be completed in Melbourne to date and gave Stoddart another opportunity to work with Ace Contractors in the supply of a range of transport infrastructure. Stoddart’s contribution covered the entire station area: bins and seats from Stoddart’s Station suite can be found across the platforms, concourse and Turnham Avenue bus interchange, accompanied by two Evo shelters. 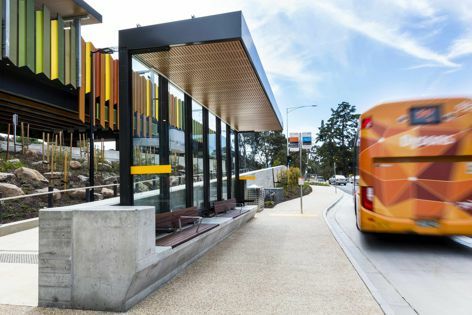 One of these is a standard Evo MkII shelter, while the other is a heavily modified Evo Premium shelter featuring high-quality architectural finishes to help tie the design of the concourse to that of the Turnham Avenue interchange.